Zionism Unveiled: Is Salvation of the Jews? Salvation is NOT "of the Jews"
There’s a NEW Religion in Town–and it will deceive the WHOLE World! The Scofield Bible had several innovative features. Most important, it printed what amounted to a commentary around the text of the Bible itself instead of in a separate volume. It also contained a cross-referencing system that tied together related verses of Scripture and allowed a reader to follow biblical themes from one chapter and book to another. Finally, the 1917 edition also attempted to date events of the Bible. It was in the pages of the Scofield Reference Bible that many Christians first encountered Archbishop James Ussher's calculation of the date of Creation as 4004 BC; and through discussion of Scofield's notes--which advocated the "gap theory"--fundamentalists began a serious internal debate about the nature and chronology of creation. The Scofield Bible was published only a few years before World War I destroyed the cultural optimism that had viewed the world as entering a new era of peace and prosperity. Thus, Scofield's premilliennialism itself seemed almost prophetic, and sales of his Reference Bible exceeded two million copies by the end of World War II. Dispensationalsim really means that since the destruction of the temple in Jerusalem in A.D. 70, the non-Jews (“Gentiles”) have been allowed by God to rule the world. But this is just an interruption, a blip on the screen – an intermediate “dispensation” – which is now ending, making way for the Jews to rule the world – all nations - forever. Look in a Concordance, Strong's Concordance is a popular, commonly used one. The word "Jew" (#2453 in the Greek) is actually short for the word Judean, or more accurately Ioudas, pronounced ee-oo-dah-yos. The letter "J" is not present in the New Testament Greek alphabet. The English alphabet had no "J" prior to the 14th century, and it wasn't predominantly used until the 17th century. Since the word "Jew" is an English concoction that did not exist at the time of the writing of the New Testament, we know that it actually is the word "Judean" or “Judahite.” The King James Bible in 1611, for example, used the word Iudea, not our present "Judea", and it was pronounced you-dee-a. So the word "Jew" is short for the word "Judean" or “Judahite,” meaning either a resident of a particular area - Judea, the southern part of Canaan, later known as Palestine or a worshiper of the God whose presence was in the temple in Jerusalem in Judea. The word "Jew" or more properly “Judean” had nothing to do with ethnicity. The English word Jew evolved phonetically from the prefix 'Iou, from the Greek word 'Ioudas which means Judean. Judea is the same as Judah, and Judah was the tribe of Israel that inhabited that geographical area when the twelve tribes conquered the inhabitants of Canaan about 1400 B.C. The Tribe of Judah was the largest of the twelve and the most influential. God said that the Messiah would come through that Tribe. The word "Judean" in the Bible (later incorrectly shortened to "Jew”) originally meant - those who had knowledge of the God of heaven – the Believers. The study of the Scriptures, particularly the Old Testament, makes it clear that the designation "Judean" or Ioudas refers to those who had a knowledge of the God of heaven – those who were Believers in God, as opposed to those who had NO knowledge of the God of heaven or those who worshiped pagan gods, referred to as the "Nations" – the Unbelievers. In Strong’s Concordance, the word "Nations" in the Greek #1484 and in the Hebrew, #1471. Now look up the word "Gentiles." You will see that the number is identical to the word "Nations" both in the Greek (#1484) and in the Hebrew (#1471). The word “heathen” has the same numbers. This shows that the Bible translators used the word "Gentiles" at their own arbitrary discretion, when it would have a theological or sociological impact they desired, rather than using the word "Nations" in every instance, as unbiased translation would dictate. There is NO instance in the Bible, where the word "Gentiles" is appropriate. The word should ALWAYS be Nations or heathen – referring to Unbelievers. The Hebrew word (#1471) translated "Nations" or incorrectly as "Gentiles", is the word "goy" or "goyim", a present-day derogatory term used by Jews to describe non-Jews, and means a troop of lowly animals, such as cattle, or a heathen people. Isaiah 37:12 "Have the gods of the nations delivered them..."
Psalm 96:5 "For all the gods of the nations are idols..."
Isaiah 9:1 "...Galilee of the nations." Judeans (mistranslated "Jews" in the Bible): Those who were aware of, or who worshiped, the God of heaven – Believers - even though often they had wandered far from the God of heaven they were supposed to know. Nations or heathen (often mistranslated "Gentiles" in the Bible): Those who did NOT know, nor worship, the God of heaven, but instead worshiped pagan idols. Neither term was a designation of ethnicity or blood line. Both terms were defined in relation to their religion - their worship, which, in general, correlated with their geographical location. The center of the worship of the God of heaven in the entire inhabited world, was Jerusalem which was in the region of Judea. Everywhere else was referred to as "the Nations." Because Jesus was born in Judea and because He identifies Himself as the "Saviour of ALL mankind" (1 Tim 4:10), the phrase should be translated, "Salvation is OUT OF Judea." (John 4:22) Salvation is found ONLY in Jesus, Who was born (came OUT OF) Judea! Salvation is ALL ABOUT JESUS - NOT about Israel or the "Jews!" Galatians, Chapter 3, tells us clearly that the “seed (offspring) of Abraham” is Christ - and also HIS followers. 14 That the blessing of Abraham might come on the "Gentiles" (heathen – nations - Unbelievers) through Jesus Christ that we might receive the promise of the Spirit through faith (belief). 15 Brethren, I speak after the manner of men; Though it be but a man's testament (covenant), yet if it be confirmed, no man disannulleth, or addeth thereto. 29 And if ye be Christ's then are ye Abraham's seed, and heirs according to the promise. No! Judaism is NOT the religion of the Old Testament. The religion of the Israelites in the Old Testament was/is Christianity! Jesus, Himself, said so. There are literally dozens of prophecies in the Old Testament pointing towards the coming of the Messiah, Jesus Christ. These prophecies were given to the Israelites by God so the Israelites would recognize Jesus when He came to earth. But the perversion, degeneracy and arrogance of the Pharisees and Sadducees – the leaders of the Organized Church of the day - had so corrupted the truth of the Christianity of the Israelites, that when Jesus appeared they not only rejected Him as the Messiah but they accused Him of “having a devil” (John 8:48) and murdered Him! The Old Testament is about Christ – NOT about Israel! Therefore, the religion of the Old Testament is/was - - - Christianity! And the Pharisees, Sadducees and their followers in the Organized Church of the day, committed a cosmic crime by murdering God! Jesus Christ is/was God - in human form. The term “Judeo-Christian” is an oxymoron, the combining of two words defining two diametrically opposing systems of belief. It’s similar to using the term “blackish-white” or cloning a human being combined with a beast. The authors of Judaism were the Pharisees - the murderers of Christ! The values of Judaism are violently opposed to the values of Christianity as will be shown by quotes from their “holiest” book, the Talmud, including the Talmudic quotes that calls for theft from, lying to, and murdering of Christians - by the Jews. Non-Jews - derogatorily referred to as goyim, minim, heathen, or gentiles, by the Jews - are considered to be no better than cattle, according to the Talmud, so their possessions, their land, and even their lives can be taken at will, by the Jews. 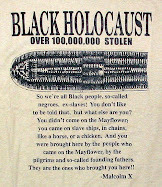 If there is a Jewish race, with "Jewish genes", then WHO was the first "Jew"? Abraham is often called the "father of the Jewish race," but Abraham was NOT a Jew! He was a Chaldean, from Ur of the Chaldees in the area of Babylon. So was Abraham's wife, Sarah. Abraham was a "Hebrew" which is NOT synonymous with the word "Jew." The word "Hebrew" means "to pass or to cross over." Abraham "crossed over" the River Euphrates to get to the land of Canaan, but in doing so, his genes DID NOT change into "Jewish genes." Abraham was NOT Jewish! There was NO SUCH THING as a Jewish race – then - OR now! Abraham was a Chaldean, from the area of Babylon,s who was a worshiper of God and a Christian looking forward to the promised Messiah – Jesus Christ! Abraham had two sons, Ishmael and Isaac but neither one had "Jewish genes" because neither Abraham nor the mothers (Sarah and Hagar) of the two sons were "Jewish." Isaac's sons were Jacob and Esau - and NEITHER one was "Jewish." If they were, then when did their "genes" suddenly become Jewish? Jacob and Esau were TWINS. Esau became the father of the Edomites and they were definitely NOT Jewish! How could ONE twin (Jacob) be Jewish and the OTHER twin (Esau) be an Edomite (a NON-Jew)? Then when the Israelites reached the Land of Canaan they intermarried with the heathen Canaanites, against God's explicit command, Obviously, THAT did not suddenly make them "Jewish." SO - - - who was the FIRST Jew? And HOW did ANYONE ever become "Jewish" genetically? CONCLUSION: There is NO SUCH THING as a Jewish race or ethnicity! There is only a Jewish culture, the culture of the Talmud - and a Jewish religion, Judaism, which is the occult religion of the Talmud and the Kabbalah! Jesus was a child of the Holy Spirit (God’s Spirit – or breath – of holiness) (Luke 1:34,35). He had no lineage from His stepfather, Joseph. Yes, His earthly parents, both His earthly mother and His earthly father, were from the line of David. David was an Israelite, He lived in Israel in the area of Judah, but did that make him "Jewish" genetically? The prophecy of Jesus' lineage through His earthly parents was given so those who were searching the Scriptures and watching for the Messiah would be able to identify Him appropriately when He came. Even then, the greatest scholars and the wisest in the synagogues STILL did NOT recognize the Messiah. Many claim that Jesus had to have had genes from His mother, Mary, or He would not have been able to fulfill the prediction of the Scriptures - - to be "tempted in all points like as we are, yet without sin." (Heb 4:15) Yet Adam and Eve were created by God, with no genes from an earthly mother or father, and they were not only "susceptible" to sin - - - they ACTUALLY sinned! So Jesus did NOT have to have earthly genes in order to be susceptible to sin. But when He was tempted, He overcame! Jesus overcame where Adam failed. There is an additional compelling reason why Jesus had NO earthly genes from either of His earthly parents, including NO genes from His earthly mother, Mary. He could NOT have had ANY of Mary's human genes, because if He had, it would have been a case of the creature (a human being - Mary) CREATING the CREATOR (God in the human form of Jesus), it would be a case of humanity CREATING God! That could NOT be! Jesus had NO genes from a human parent. He was "born of the Holy Spirit." Matt 1:18 Jesus was placed in Mary's womb to grow in her body, to symbolize Jesus coming from "outside" of us, from "outside" of this world to come into us and become One with us. To put His disposition, His character into us. Jesus came into this world to become One with humanity, to live in us. The First Beast Power of Revelation 13, the Monster Beast that comes up out of the sea, the one that rules the “Whole World” – the one the controls the money supply of virtually every nation on earth - is Jewish Zionism/Talmudism. 6. 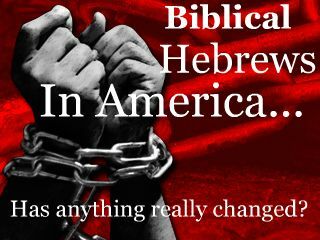 The “New” religion in town is “Judeo-Churchianity” (a term coined by author Michael Hoffman II) – a Judaized “Christianity” that will lead (force!) the whole world to worship the terrible and ferocious Beast of Revelation 13 – the Zionist Jews and Judaism - whose goal is to destroy ALL governments and ALL religions, including Christianity!